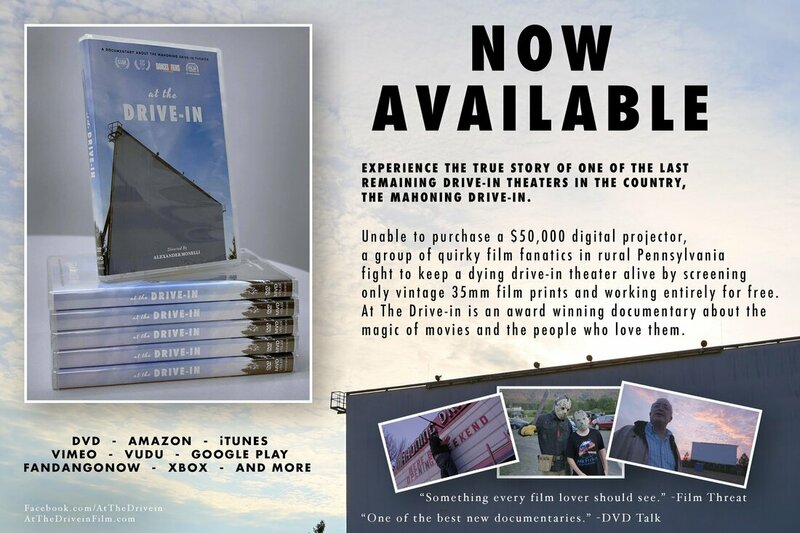 remaining drive-in theaters in the country, The Mahoning Drive-in. The DVD comes loaded with Special Features including THREE full length commentary tracks, 17 minutes of Deleted Scenes, and a Q&A from a screening at the Alamo Drafthouse in Yonkers, NY. Pick up your copy today. Rent or purchase the documentary on iTunes to watch anywhere. Rent or purchase on Amazon Prime Video.